After news broke last Friday that Amazon is acquiring Whole Foods, a lot of commentary emerged as everyone is trying to suss out that exactly this will lead to. No wonder. Combine Amazon and a $800 billion market in the US, and you get everyone’s attention. Here are some select comments and reactions worth reading and thinking about. My prediction is that Amazon will acquire an organization like a Whole Foods or Wegmans as they have not figured out grocery. They need distribution and these companies have been beaten up, some of them have been beaten up so badly that they might be worth the acquisition price just for the distribution. They could close the stores down and just use them as warehouses. ​Indeed, it makes sense to think of Whole Foods stores as warehouses, once they are part of Amazon. Those may be warehouse consumers can walk in to and buy groceries themselves. But the core of their usage will shift over time. More on that in a separate article shortly. Alibaba Group Holding Ltd. (BABA) and Amazon.com Inc. (AMZN) may be the world’s most dominant e-commerce players, but they are both making moves into the brick-and-mortar space because their access to large troves of data and their fulfillment abilities allow them to provide for a better customer experience in physical stores. 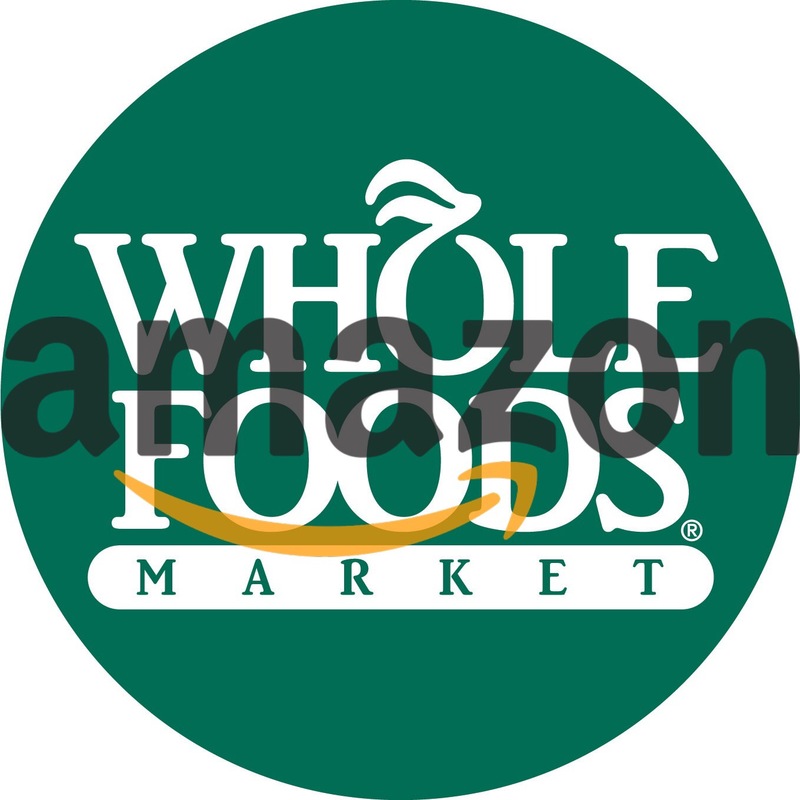 Amazon announced on Friday that it was buying Whole Foods Markets Inc. (WFM) for $13.7 billion, further solidifying this play, while Alibaba has been working on its “new retail,” strategy for some time now. “This deal is a total validation of our strategy,” Alibaba Head of External Affairs Brion Tingler told TheStreet. Both players are learning that when you hit a certain level of success in online sales, the next step is to help offline players better utilize their strengths. Amazon’s Whole Foods deal will certainly lead to a lot of confused conclusions being made by offline retailers and their consultants. It is just fascinating that Alibaba, of all companies, seems to be amongst them on this. More quotes from analysts and executives can be found in this excellent overview at CB Insights. Viewed over the long arc of Amazon history, Whole Foods seems like an unlikely fit. It has more than 460 stores in the U.S., U.K. and Canada, with leases to manage, windows to be washed and employees who show up early to sweep the floor. In the past, physical retail and all of its associated complications have seemed anathema to Bezos — expensive, inflexible obligations whose costs are difficult to defray by advances of technology. Then there’s Amazon Restaurants service, which currently delivers prepared meals in a few cities to the homes of Prime members. Meals are 20 percent of Whole Foods business; Amazon can take its sushi, tacos and sandwiches and expedite delivery to people’s doorsteps. It’s a longer term opportunity that can help Amazon peel away customers from rivals like Wal-Mart and Uber, with its Uber Eats service. Imagine this scene from the future: You walk into a store and are greeted by name, by a computer with facial recognition that directs you to the items you need. You peruse a small area — no chance of getting lost or wasting time searching for things — because the store stocks only sample items. You wave your phone in front of anything you want to buy, then walk out. In the back, robots retrieve your items from a warehouse and deliver them to your home via driverless car or drone. At this point, Amazon said, it had no plans to lay off Whole Foods workers or use Amazon Go technology to automate cashiers’ jobs. Erik Brynjolfsson, director of the M.I.T. Initiative on the Digital Economy, said Amazon’s plans could be much bigger than simply automating stores. ​That last quote gets perfectly at the bigger picture here. And the next question then is how the Whole Foods stores will fit into this world. E-commerce accounts for just 2% of America’s food-and-beverage sales. Even as Amazon has raced into other segments of goods, it has only tiptoed into grocery. Amazon Fresh, a grocery-delivery service that it started ten years ago, is still in only a handful of cities. Amazon is in the business of changing customer habits: once a shopper gets used to buying goods from Amazon, usually after joining its “Prime” free delivery programme, that shopper is likely to buy more and more goods from Amazon. Morgan Stanley estimates that those who subscribe to Prime spend at least three times as much on Amazon as those who don’t. That shoppers stock up on groceries so often explains much of the appeal of the market to Amazon. If Amazon can enmesh itself in that frequent habit of buying milk and bread, experience shows that customers will turn to Amazon for other types of goods, too. […]regulators are unlikely to intervene. The deal, after all, gives Amazon less than one-fiftieth of the grocery market. Indeed, it seems far more probable that a company such as Walmart, wary of Amazon’s dominance, might swoop in and make Whole Foods a higher offer (Amazon is paying about a 27% premium to the stock’s closing price on June 15th). Barring that, the deal will likely go through, Amazon expects, within the next six months. It is unclear as of now what exactly this will mean for Instacart. The delivery startup inked a multi-year deal with Whole Foods not long ago. Whole Foods is the first and only nation-wide partner for Instacart. And the partnership looked like it were about to deepen. Amazon on the other hand doesn’t need Instacart. The company has Amazon Flex and is, overall, building out its own logistics infrastructure. Instacart has about four years left in a delivery partnership it signed with Whole Foods in 2016, said a person familiar with the matter. The contract made Instacart the exclusive delivery provider for Whole Foods perishables, including produce, deli meats and baked goods, as well as nearly all non-perishable items, the person said. Instacart believes Amazon’s purchase won’t affect the arrangement, said the person, who asked not to be identified because the details are private. “While Instacart could lose their crown jewel of Whole Foods, they may gain in a swell of demand from the rest of the market, and even more mid-range and budget stores coming to them for services to try and compete with Amazon,” [Brian Frank, who invests in food-tech companies through his FTW Ventures fund] said. And, as said before, buying Whole Foods provides Amazon outside the US with nothing. This is purely a US story, for now. ​Post Whole Foods, What Will Amazon’s Grocery Strategy Outside the US Look Like?